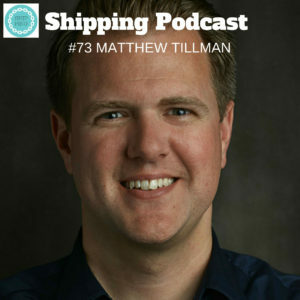 Matthew Tillman, CEO & Founder, Haven Inc, is bringing a fresh perspective on the maritime industry, where he thinks we need to gain back our self-confidence and recognize that we are as important as the internet, another obvious important, constantly delivering mode of transport. Haven does not want to become a broker, they work on a fixed subscription fee and have been successful in attracting venture capital for their ideas. It’s refreshing to listen to Matthew, how he shares failures and what they did in order to come back as strong as intended from the start. We get some good advice, but most of all, we get the insights of a startup in the maritime industry.